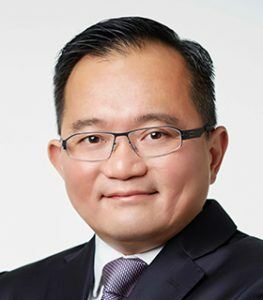 Goh Kiat Seng has been named co-head of global corporate banking in Malaysia at MUFG Bank. Based in Kuala Lumpur, he joins the bank from Standard Chartered Malaysia, where he was most recently managing director for international corporates. He spent almost 20 years with Standard Chartered, including stints in Dubai and Singapore. Prior to this he worked with Dun and Bradstreet, a commercial data company, as well as the previous iteration of MUFG Bank, the Bank of Tokyo-Mitsubishi UFJ. Goh reports to CEO and president for MUFG in Malaysia, Yuta Uchiyama, and Sanjiv Vohra, head of global corporate banking, Asia and Oceania. “One of MUFG’s key priorities going forward is to establish a group-oriented approach that would allow us to harness our global network and resources to provide a comprehensive suite of integrated financial solutions for our clients. With Kiat Seng’s experience and expertise, I am confident that he will take our corporate banking business in Malaysia to greater heights,” says Vohra. The post MUFG appoints head of corporate banking in Malaysia appeared first on Global Trade Review (GTR).